How do I organize my applicants? Categorize your candidates using the stages in your WizeHire dashboard. Sort your Candidates by toggling between 'filter by personality fit' (click on Excellent, then Very Good etc) and 'apply date' (located just under the column title). 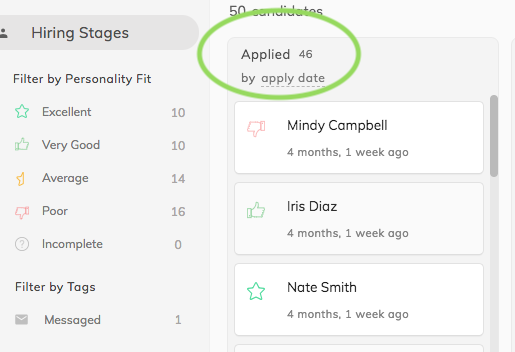 As you review candidates, click, drag and drop each applicant to your desired stage. You can add your own Custom Stages, too, using the 'Add another stage' feature! 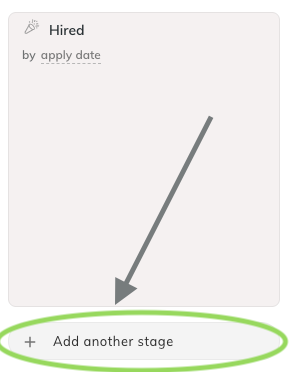 Click on 'Candidates' on the left side of your screen to see all applicants at a glance. You can easily sort, analyze and apply bulk actions from there.